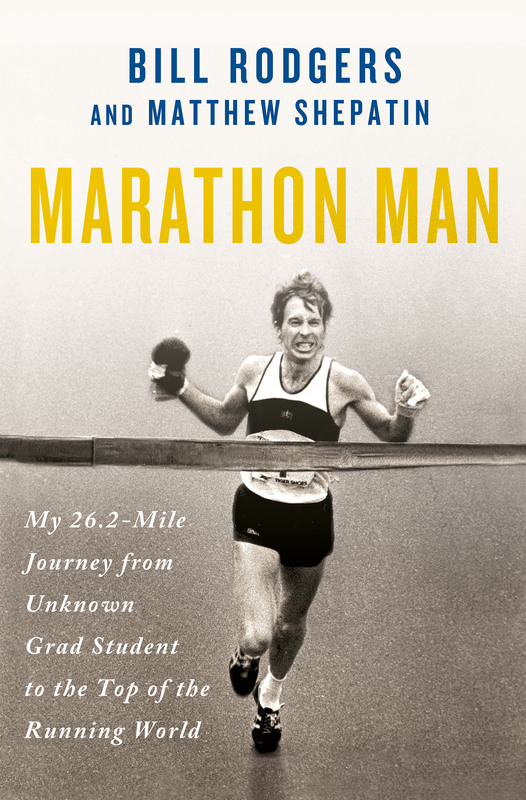 I’ve been reading Rodgers’ new autobiography, which was published at the end of April: Marathon Man – My 26.2-Mile Journey From Unknown Grad Student to the Top of the Running World. In a nutshell: it’s wonderful. It’s the best autobiography of a top-class runner I’ve read in over forty years, since Ron Clarke’s The Unforgiving Minute (1971). Warning: the link is to a results page at Bookfinder for this expensive used classic. Rodgers won Boston and New York four times each. As a runner, he was a natural. He was a guy that the other elite runners of the day were in awe of, for his beautiful running form, his huge athletic gift, and the way he seemed to soar effortlessly over the ground with boundless energy. Until Boston in ’75, he hadn’t appeared on the national radar, having won a bare handful of minor races. And he’d bombed twice on Boston’s infamous Heartbreak Hill, going out too fast in the early miles and suffering crippling leg cramps from dehydration. 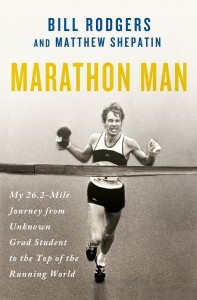 His race in 1975 is an inspiring story by itself. How he got there is even more deeply meaningful. Rodgers and his co-author, Matthew Shepatin, have done a beautiful job of telling “Boston Billy’s” background story. 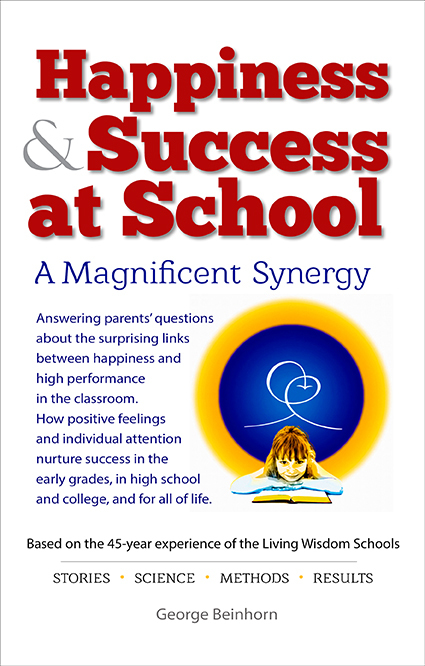 The book is packed with interesting insider perspectives and useful information, told in a natural and openly sharing style, as befits what we know of his generous nature. It’s clear from the start that Rodgers isn’t interested in impressing us but that he’s a big-time flag-bearer for his own style of running. If there’s a lesson he wants to share, it’s that training is most successful when it’s most enjoyable. And enjoyment comes in two ways: by running hard, always working at the edge of our present ability, and by running with a deeply relaxed mind. Rodgers not only rose to the top, he had fun doing it. As Arthur Lydiard said of his runners, Rodgers enjoyed his training. He took joy in running – it was that joy that defined him, and it makes him an enduring model for us all. He also emulated Lydiard’s runners in the way he trained. He didn’t hammer himself every day. Most of his miles were done at a leisurely – for him – 7:00 to 6:30 pace. Round and round he ran, circling the 1.5-mile path around a lake near his home, enjoying nature. Rodgers doesn’t hide or gloss over his troubling years as a penniless former runner and grad student who had lost his bearings, and who sought refuge in a haze of cigarettes and booze. Thus his story embraces a theme we encounter in virtually every book and film that has the power to inspire us and renew our hopes: a hero who tastes the bitter fruit of contractive actions and is redeemed when he adopts a broader view, expanding his heart to include others. Rodgers found redemption in his work with the mentally ill, and in his close and enduring relationship with his wife, Ellen. It’s my habit, whenever I read a book that inspires me, to mark with Post-Its the pages where the high points are hidden, and scan those pages after I finish reading. I’m tempted to share those pages with you, but I’ll refrain so that you can discover them for yourself. 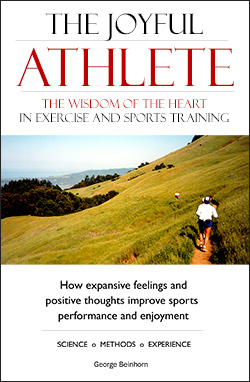 If you’re a runner, you will find inspiration in this book – guaranteed.